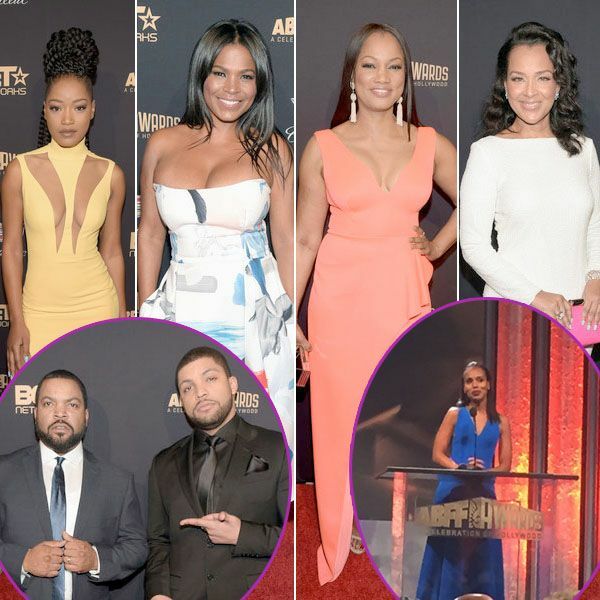 Hollywood was dripping with black excellence as the 2016 American Black Film Festival Awards, in conjunction with BET and Cadillac, were held at the Beverly Hilton Hotel last night. TheYBF.com was on the scene giving live red carpet coverage, but if you were late to the party following all our social media coverage last night, that's cool. We've got more pics and the recap here. 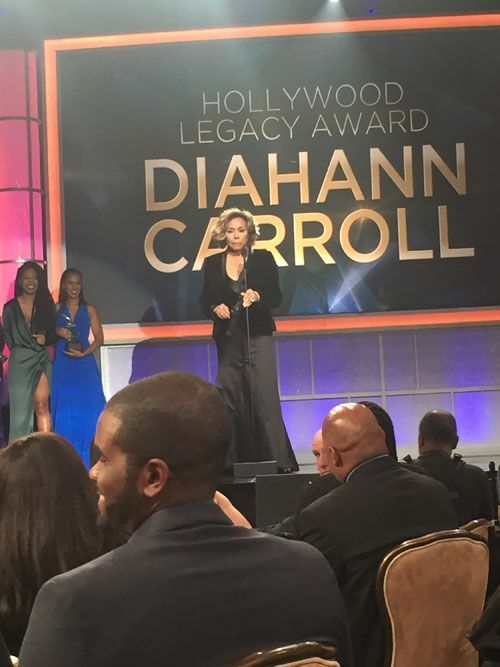 A slew of your faves came out to recognize legendary multi-award winning actress Diahann Carroll, Oscar nominated actor Don Cheadle, EMMY Award winner Regina King, awarding winning producer Will Packer and Image Award winning director Ryan Coogler. 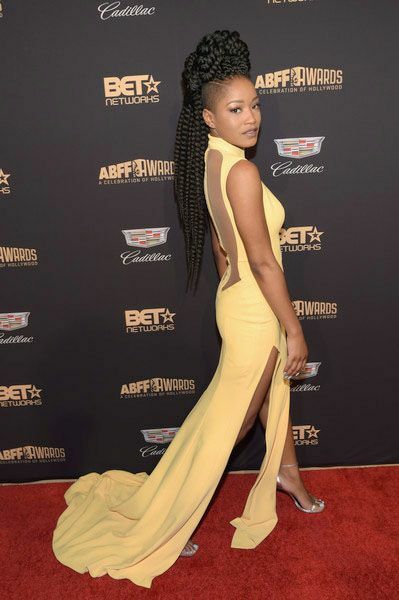 Keke Palmer came to slay! The 22-year-old actress stepped out on the carpet to serve…and SERVE again. She stole the show in a pale yellow cut-out double high slit gown by Galia Lahav that surely turned heads as she made her way down the red carpet. Those gym sessions she shares on SnapChat are definitely doing a body good. One of our faves actress Nia Long was her usual stunning self styling in a strapless floral frock with sleek tresses to top off her look. The "Uncle Buck" actress just gets better with age. Just FLAWLESS. 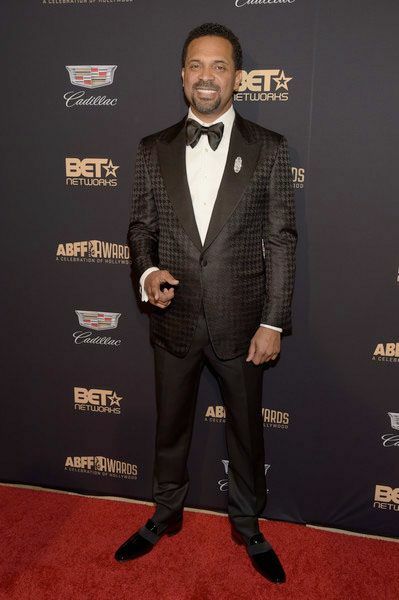 The star of the upcoming comedy series, Mike Epps, was also on the scene last night. He was tapped to host the event and he brought plenty of laughs and funny moments. Actress LisaRaye was all smiles on the carpet rocking her signature all white ensemble. She seems unbothered by that alleged lawsuit thrown at her by skin whitening advocate Dencia. If you missed that story, catch up HERE. 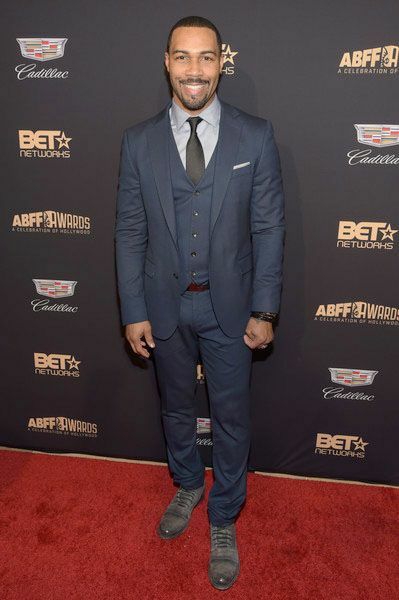 "Power" hottie Omari Hardwick has us swooning with his beautiful smile. 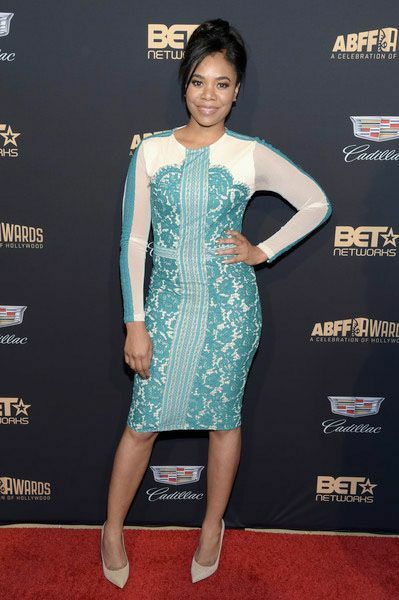 Barbershop starlet Regina Hall struck a pose while giving us spring time vibes in a teal and white embroidered dress. She’s gearing up for the premiere of her new mystery thriller When The Bough Breaks, also starring Morris Chestnut. 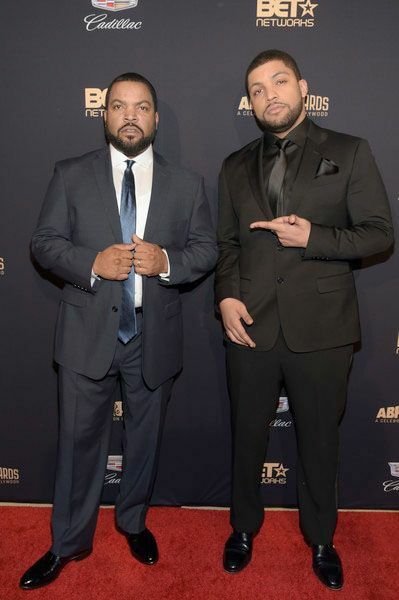 Father-son duo Ice Cube and O’Shea Jackson, Jr. came out as their film Straight Outta Compton was up for an award. 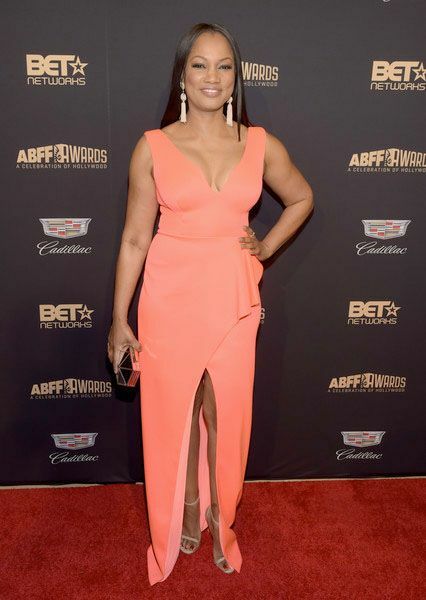 The gorgeousness that is Garcelle Beauvais lit up the carpet in this coral high slit number. Everything was on point! 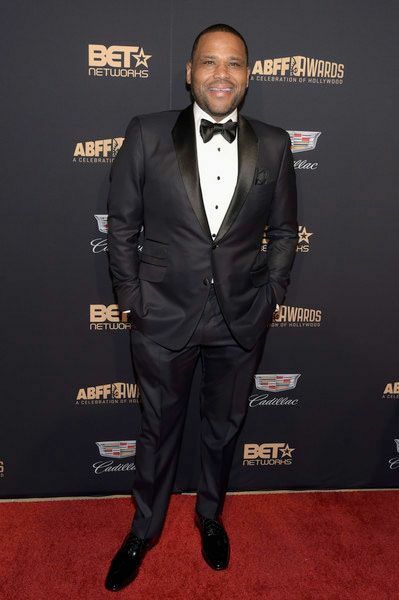 With “black•ish” being up for an award, actor Anthony Anderson came out to celebrate. The film DOPE was also up for an award and actress Kiersey Clemons was front-and-center. Well hello there! Actress and reality star Elise Neal rolled up on the scene showing off those killer legs of hers in a HOT green mini. 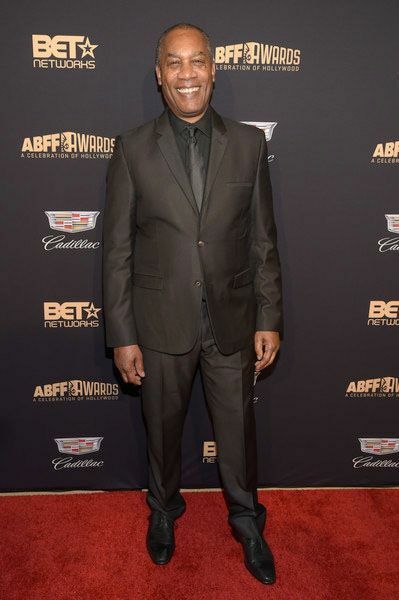 "Scandal" star and EMMY winner Joe Morton (who we like to call Papa Pope) was all smiles on the carpet. Have you caught the new episodes of "Scandal" yet? It's many things. 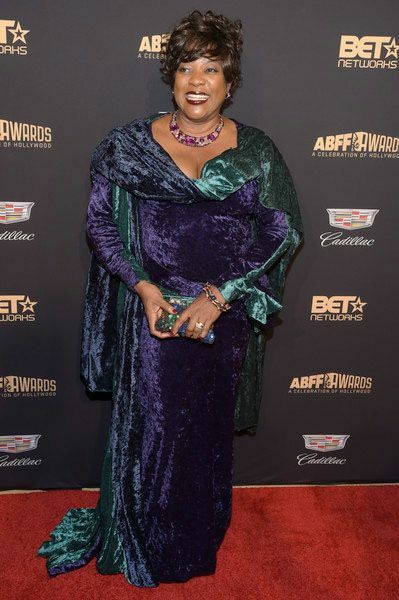 EMMY winner Loretta Devine came out to celebrate with the honorees and nominees. "Empire" star and singer V. Bozeman kept it cute in a white knit dress with fringe. 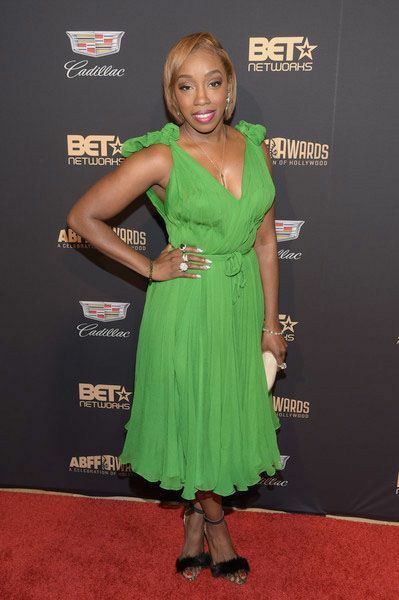 R&B songstress Estelle went for a green chiffon dress and black furry sandals. BET CEO Debra Lee came out to show support. 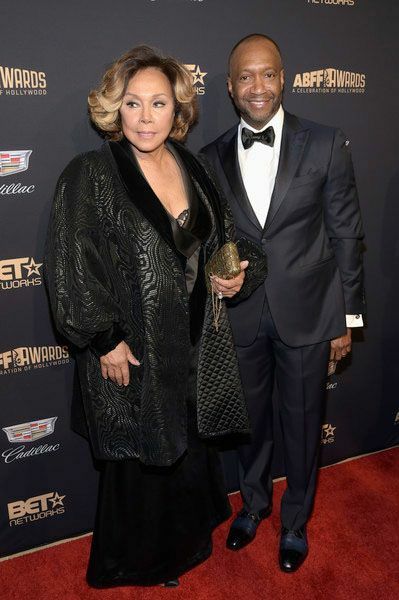 Honoree and legendary actress Diahann Carroll was escorted in by ABFF founder Jeff Friday. Superproducer Pharrell Williams and MiMi Valdes both brought a different vibe to the carpet. 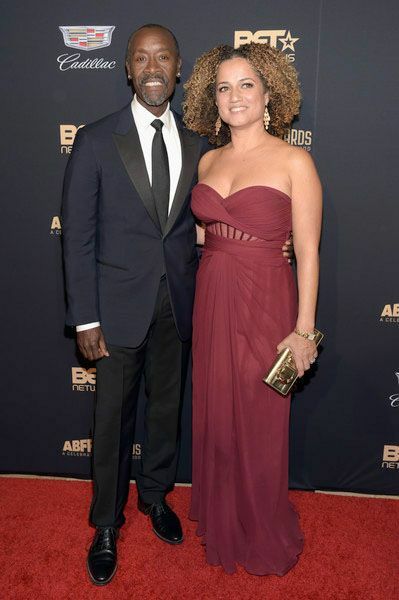 Honoree Don Cheadle was on hand to be recognized by ABFF and BET. He brought his longtime girlfriend Bridgid Coulter along as his date. 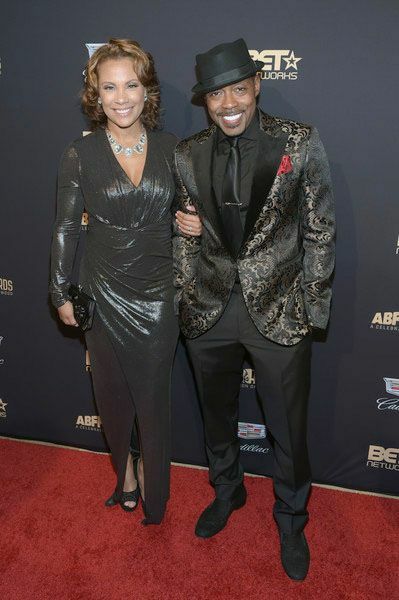 Honoree and producer Will Packer and his wife Heather Hayslett. The newly weds tied the knot in a beautiful backyard wedding back in August. 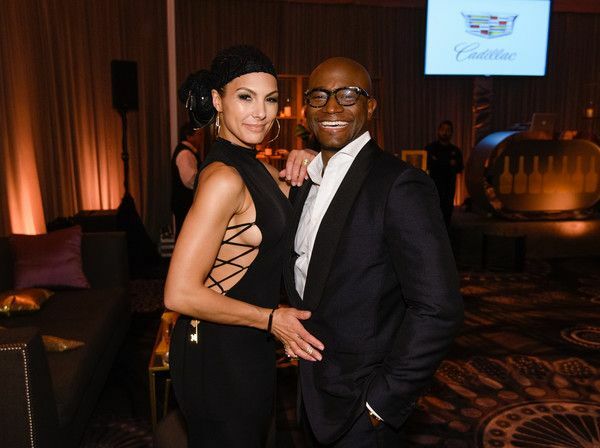 “Murder In The First” actor Taye Diggs brought his girlfriend Amanza along for the fun. Honoree Ryan Coogler and his fiancée Zinzi Evans were all smiles inside the ceremony. During his acceptance speech, he revealed how after film school he was struggling to make ends meet. He said he went to Miami for ABFF and that was his first time traveling in First Class. Look at him now! One of the hottest directors in Hollywood. 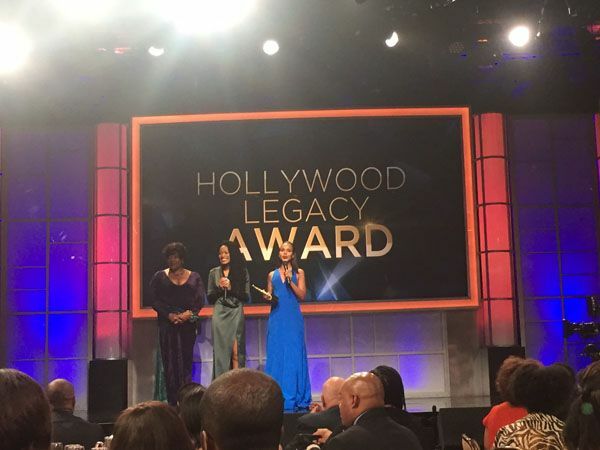 "Scandal" star Kerry Washington, joined by Keke Palmer and Loretta Devine, took the stage to present the Hollywood Legacy Award to Diahann Carroll. The iconic actress gave her acceptance speech and thanked everyone for the love. The Reginas were keeping it silly at the event. 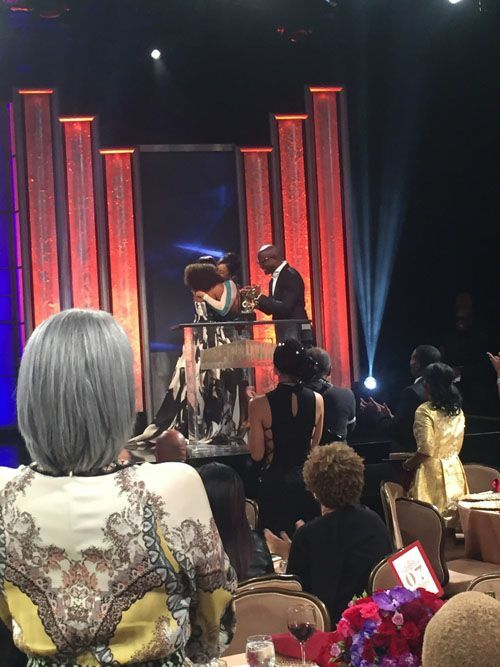 Taye Diggs presented “American Crime” star Regina King with her award. 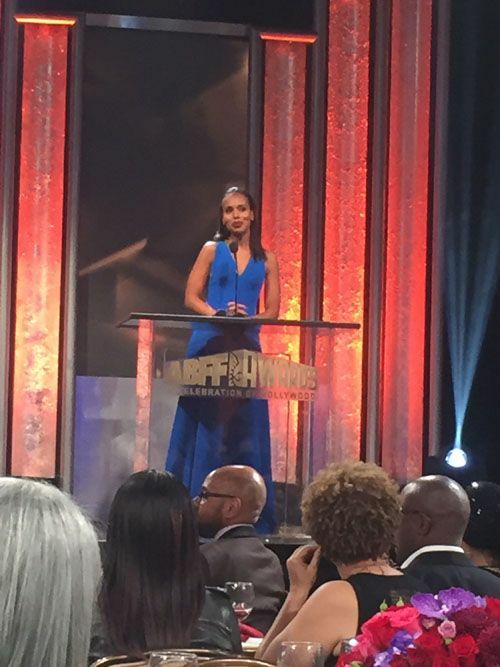 All of a sudden, Regina Hall starts walking up to the podium to accept the award. Ha! 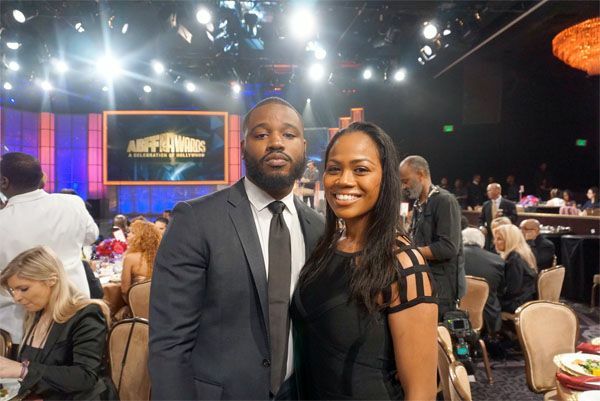 They hugged one another before Regina King gave her acceptance speech. Omari and Nia took the stage to present. And yes, Omari is fine as hell in person too. 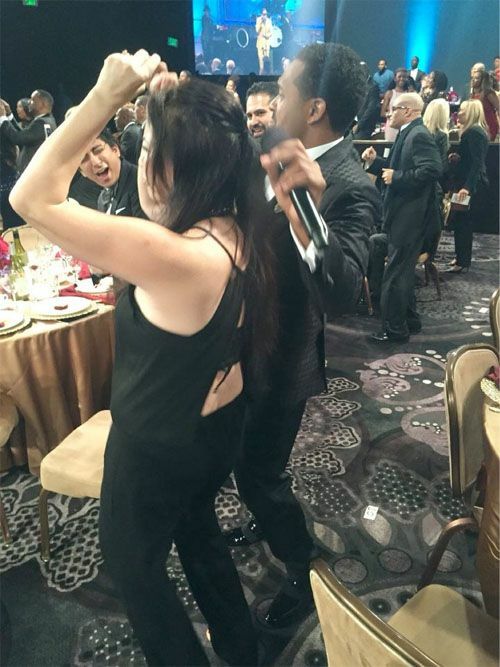 In the audience, host Mike Epps had a ball cutting up with a Hollywood producer jamming to the Morris Day performance. Spoiler alert! 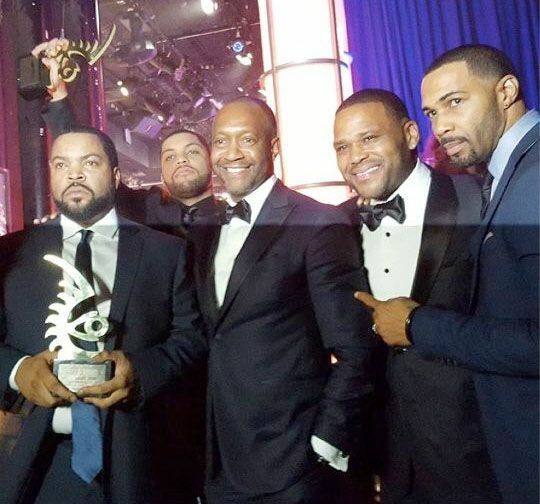 Straight Outta Compton won Film of the Year beating Concussion, Chi-raq, DOPE, CREED and Beats of No Nation. Congrats! 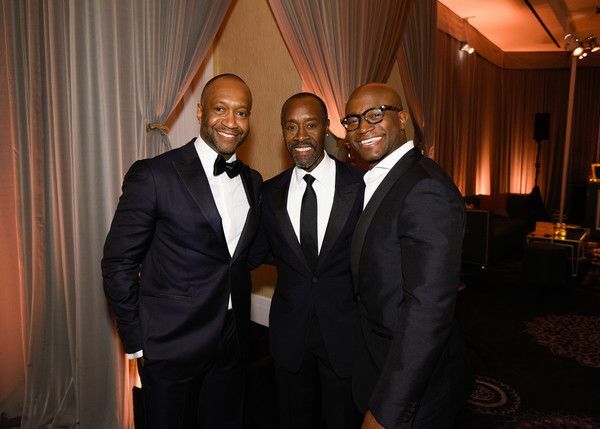 Taye Diggs snapped pics with his girlfriend Amanza and Don Cheadle and Jeff at the pre-cocktail reception. 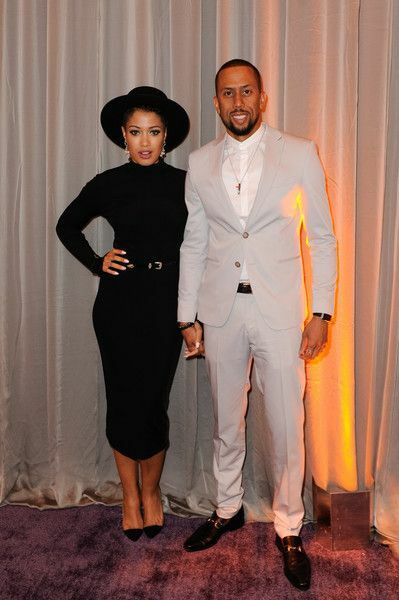 Affion Crockett and his wife hit the event. 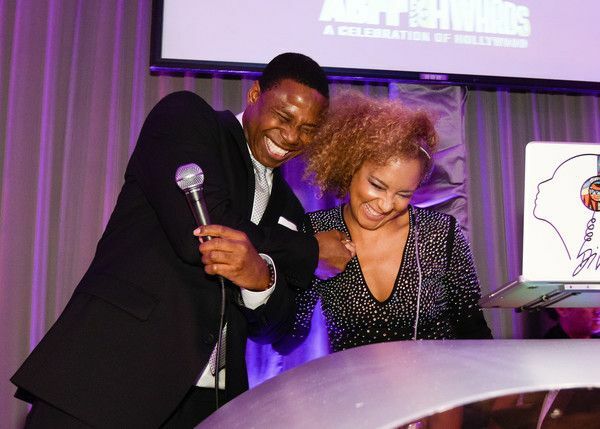 DJ Amanda Seales rocked the party with Doug E. Fresh. Fun times! You can check out the ABFF Awards tomorrow night at 8/7c on BET.